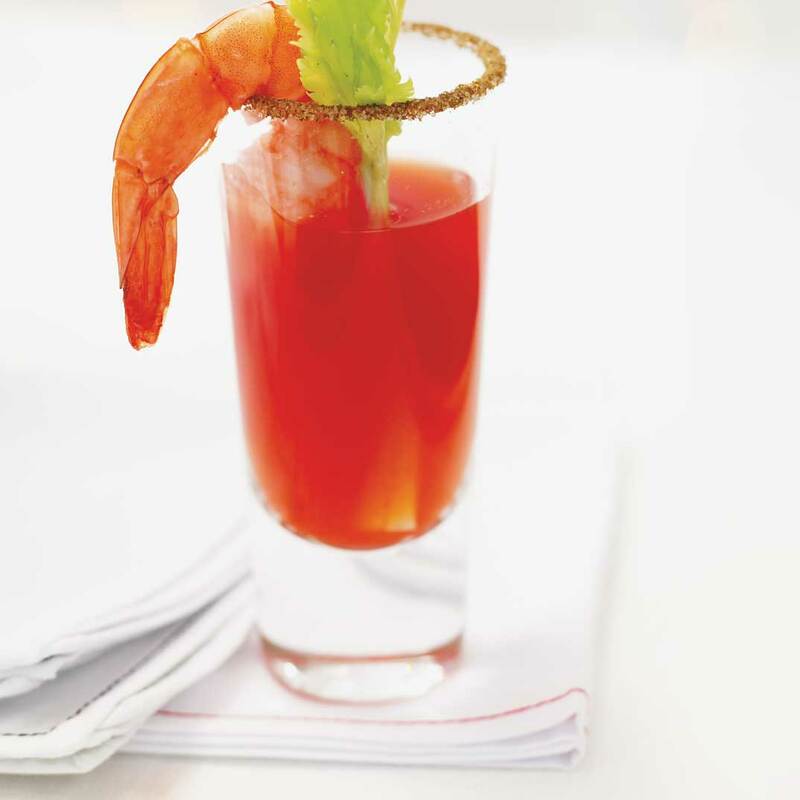 In a saucepan, combine the tomato–clam cocktail and shrimp. Add celery salt and hot pepper sauce to taste. Season with pepper. Bring to a boil. Reduce the heat, cover and simmer until the shrimp are cooked, about 1 minute. Drain and let cool. Cover the shrimp and refrigerate until chilled, about 30 minutes. Spread the celery salt in a small plate. Moisten the rims of the shot glasses with the lemon wedge and dip them into the celery salt. Set aside. In a pitcher or cocktail shaker, combine the remaining ingredients except the celery. Pour into the shot glasses. 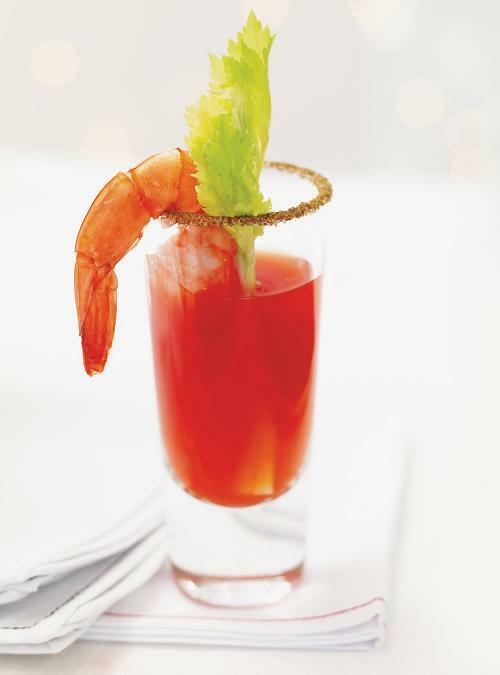 Hang a shrimp on the rim of each shot glass and garnish with a small celery stalk.